Two construction workers are very lucky fellows. 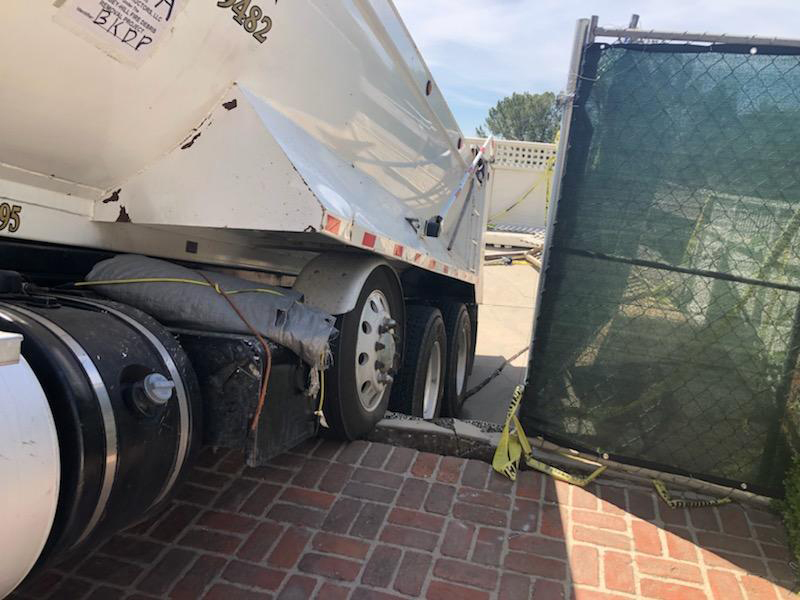 Monday, April 1, 2019, a carport structure on the 700 block of Sarbonne Road collapsed when a fully-loaded 55,000 lbs dump truck used it to turn around on Sarbonne Road — a narrow, substandard hillside road with an unconscionable amount of construction sites. The two occupants of the truck escaped what could have resulted in serious injury or death. The truck dangled precariously by one axel for hours until two crane trucks arrived to safely remove it from its perch. Staff from the Bel-Air Association, and Jarrett Thompson, Field Representative for Councilmember Koretz’s office, remained on-scene until the situation was safely resolved. Upper Sarbonne Road has and continues to experience an exorbitant amount of construction activity resulting in frequent and unsafe road blockages by a multitude of cement mixers, hauling trucks, delivery trucks, roadside dumpsters, and other construction vehicles.